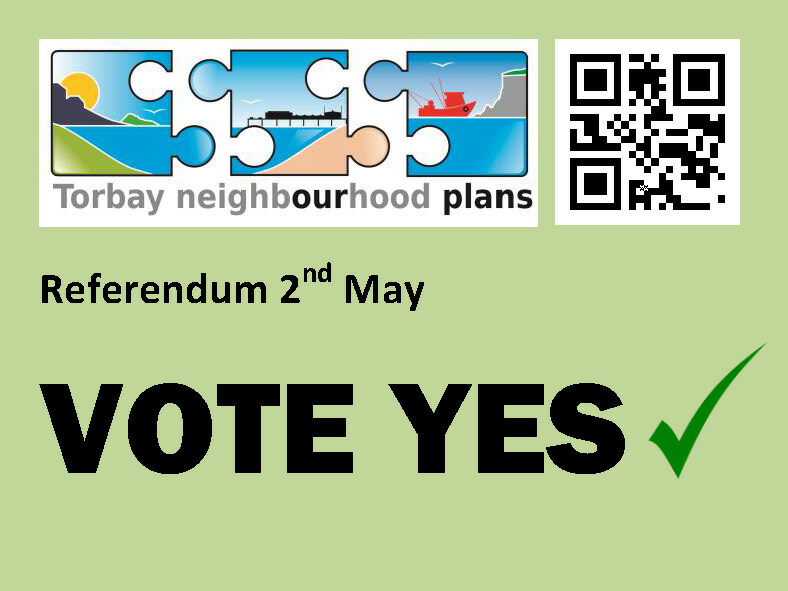 On May 2nd 2019 The Torquay Neighbourhood Plan will be put to a Referendum..
A group of volunteer residents from each of the 9 Community Partnerships. We are all residents who live and work in Torquay and some of us run our own business’, some of us work locally, some are retired, some are parents with young children and some are un‑employed, but we are all part of Our Community and want to see Torquay thrive and to retain, maintain and protect our beautiful environment – now and in the future. 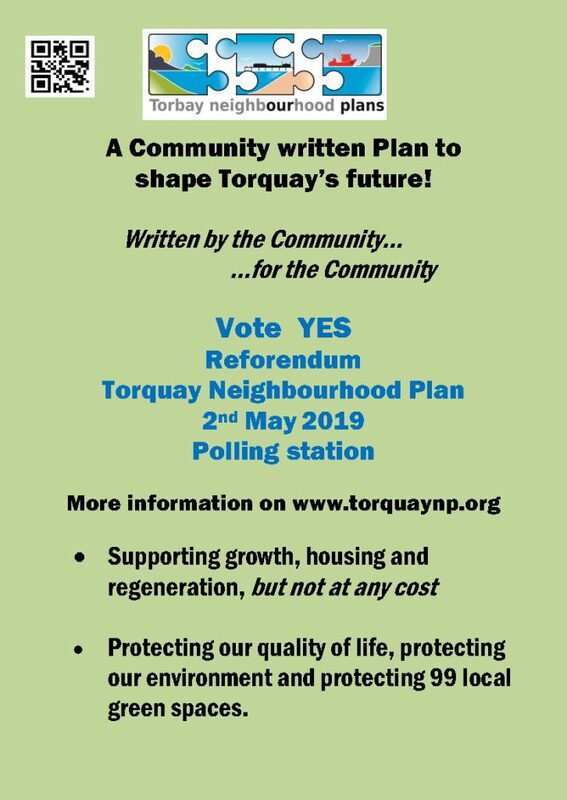 How did the Plan come about ……..
We were tasked with developing a Neighbourhood Plan on how we, the people of Torquay, want to see our town develop over the next 30 years. We formed the Torquay Neighbourhood Forum and along with other representatives from interest groups such as local business’, tourism, etc including a number of Torbay Councillors we got to work together to produce Our Plan. We started working within the community … each of the Community Partnerships consulted with local residents by holding public meetings and circulating questionnaires in order to gather residents views and identified the requirements, wishes and aspirations from each Ward. We sought guidance from professional bodies such as The Princes Foundation and consulted with Torbay Council on statistical data for job requirements, local housing needs and numbers, health issues and education needs. What IS the Plan …….. The plan identifies where housing sites should and shouldn’t be sited, the amount of new and regenerated housing that should be developed and the types of housing which residents will require now and in the future. We have identified prospective employment sites and where there is a need for new schools. We have identified aspirations and made recommendations on how Torquay town centre might be restructured and we made suggestions on existing and future local transport needs. If accepted by you it will form a major policy document for determining planning applications. 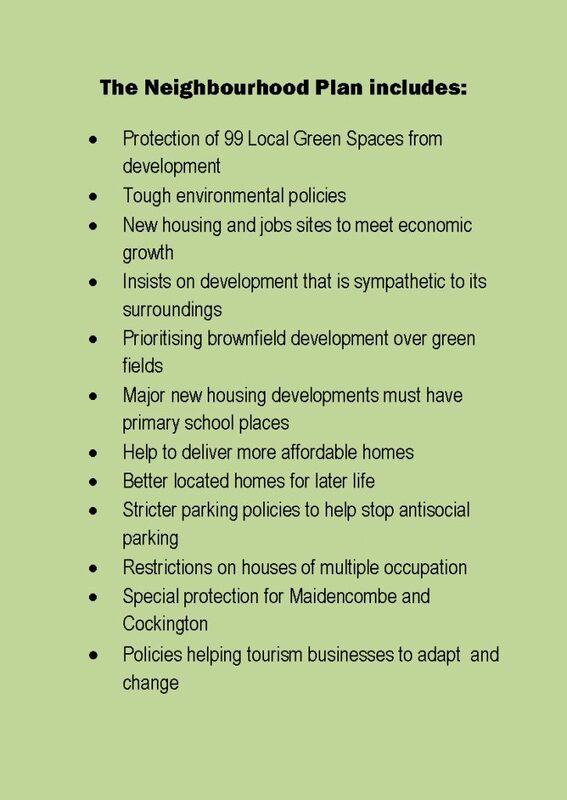 The areas listed below, shown in detail on the Neighbourhood Plan Policies Maps, are designated as areas of Local Green Space, where development is ruled out, other than in very special circumstances. Very special circumstances may include the provision of a new railway station at Edginswell, the provision of a new structure providing a café, beach facilities and toilets at Hollicombe Park. 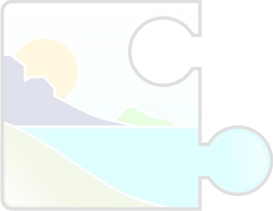 In addition, minor improvements to community access, or facilities that support their use for public recreation or amateur sports, or development allowing reasonable small extensions in a style that reflects the setting and the local area which would be consistent with the LGS designation, will be supported.